To present the story of wool and its use, and the nature and role of carding in the preparation of wool. 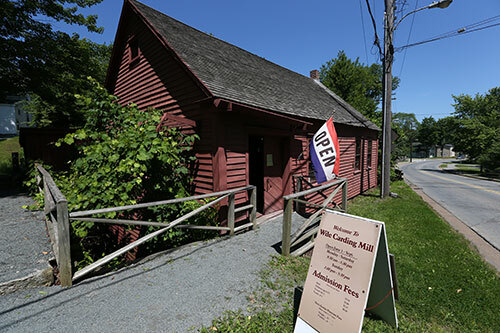 To tell the story of dean wile, his, mill, is machinery and operation as a water-powered mill, its female employees, its patrons and its value to the community. To place the mill in the context of other mills on the la have river and how it and they contributed to the wider economic life of Bridgewater. To make a link between carding and wool production in the second half of the 19th century (there were 77 carding mills in Nova Scotia at one time) and modern wool production and uses today.